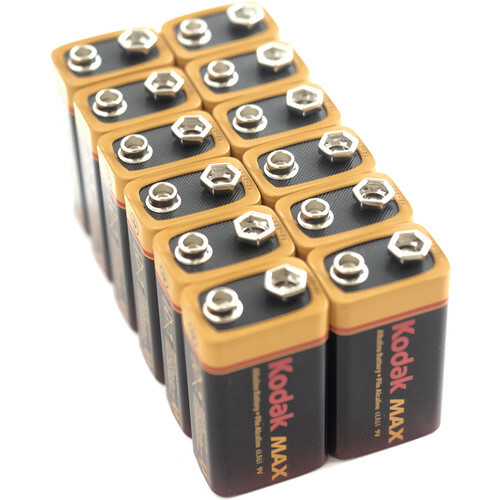 Suited to use in high-drain devices, like toys and flashlights, the Kodak Max Alkaline 9V Battery is recommended for long-term uses. Mercury and cadmium-free, they are presented here in a pack of 12. Box Dimensions (LxWxH) 4.3 x 2.3 x 2.2"